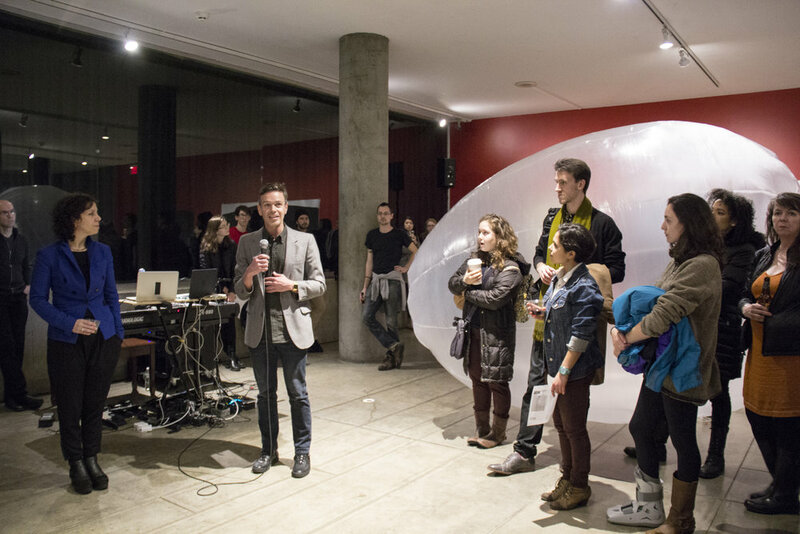 Pneuma(tic) Bodies is an installation of sculptures and drawings that explores the relationship shared by the human body, objects, and architectural space through the enveloping medium of air. 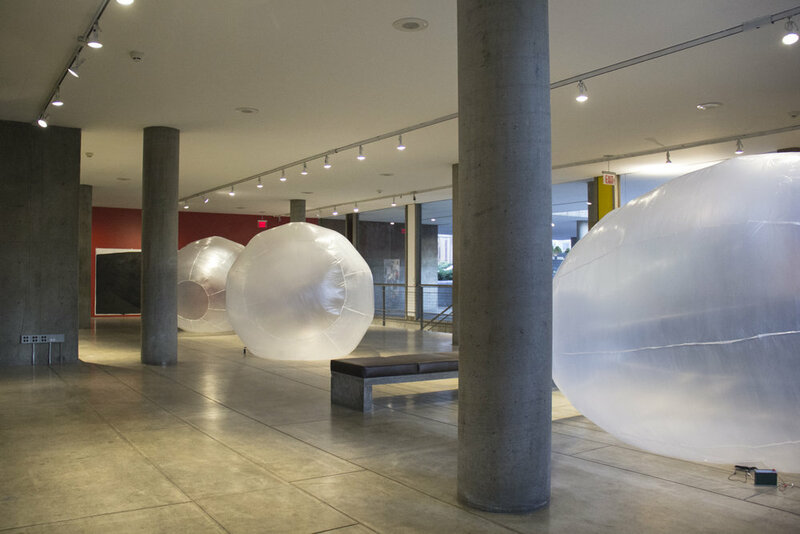 Three large, balloon–like forms made of thin plastic material occupy considerable visual and physical areas on Level 1 of the Carpenter Center. The objects continuously inflate via small cooling ventilators typically used to regulate temperature in personal computers. Their soft, translucent–membrane surfaces tremor slightly as air blows inside, while the forms move subtly across the floor in response to shifting air currents caused by visitors coming and going, doors opening and closing. The motion and scale of these lifelike globular forms interrupt the rigid architectural schema designed by Le Corbusier with his concept of the “Modulor,” an ideal system of proportions relating the human body and the architectural environment. In addition to sculptures, large–scale drawings on paper expose the scale and reach of the human body in changing grades of darkness and shininess. The moving observer captures the sheer affordances of the surfaces—created by multiple layers of black paint, various drying speeds or pressure. 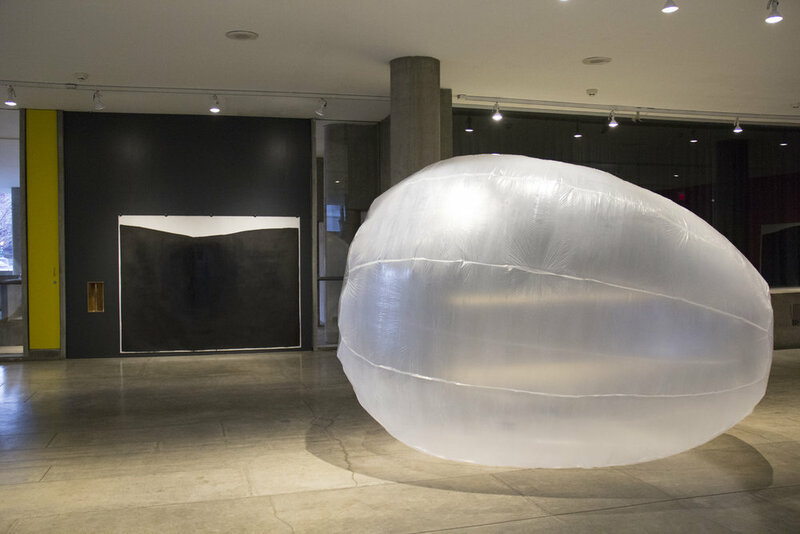 Referring to the term’s dual etymology as both spirit and breath, Pneuma(tic) Bodies is a stirring, atmospheric installation that encourages reflection on the permeable and unstable qualities of the human form, often guided by fluctuating currents, while making visible the usually undetectable consequences of our movement through space. 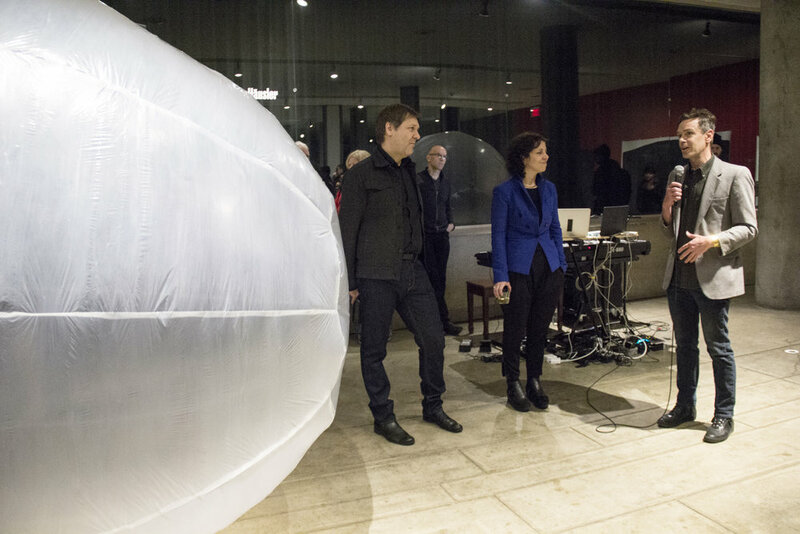 Installation in conjunction with Harvard Graduate School of Design conference: On Atmospheres: Spaces of Embodiment. Sílvia Benedito is an Assistant Professor of Landscape Architecture at the Harvard Graduate School of Design. She teaches graduate core design studios in landscape architecture and urbanism, as well as advanced research seminars. She also serves as Co-Chair of the Sensory Media Platform at the GSD. 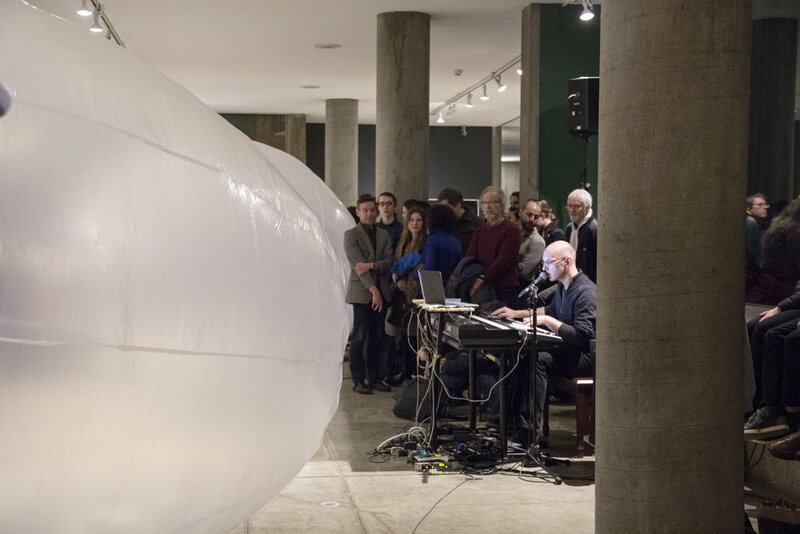 Benedito’s research and practice are focused on the role of atmosphere—the meteorological envelope and space for sensory acquisition—in the built environment. 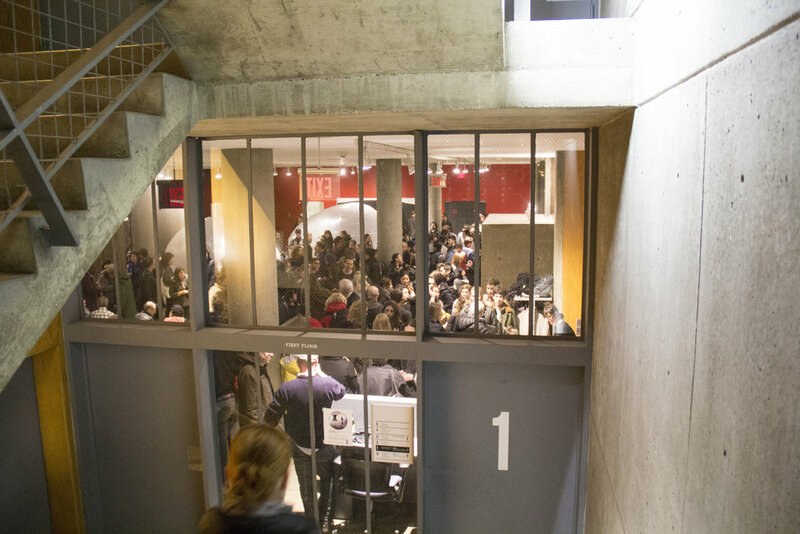 Interested in the production and reception of atmosphere, Benedito’s research simultaneously examines the making of micro-climates for human comfort, and the representation of atmosphere through time-based media such as film and video. In her methods for landscape architecture and urbanism the concept and space of atmosphere claim the body in multiple scopes and scales—from large ecological networks to smaller open space interventions, from large urban plans to immersive installations. Claiming that landscape is as much about air and atmosphere as it is about land and water offers a stimulating dimension to these disciplines, reconciling ecological imperatives with human delight and well-being. Originally from Germany, C. Alexander Häusler holds a Master in Architecture from the University of Harvard (2004), a diploma in Architecture from the Technical University of Munich (2000). Also, he studied Sculpture at the Academy of Fine Arts in Munich (2003). He worked at Hild & K, Munich, and at Skidmore, Owings and Merrill (SOM), NYC. At SOM, Alexander worked in the Education–Lab on several projects such as the Dia-Foundation Gallery, NYC, the Elizabeth Academic High-School (NJ), the Lord & Taylor extension, NYC, the St. Albans School, Washington DC and he developed the Sports Complex at the Kuwait Military Academy. C. Alexander Häusler was a visiting professor in several Universities in the USA and Germany such as at the Rensselaer Polytechnic Institute in Troy, New Jersey Institute of Technology in Newark, University of Pennsylvania in Philadelphia, Technical University of Munich and at the Summer Program of the Harvard Design School in Cambridge. He was the recipient of several fellowships and grants such as the Rockefeller Center for Latin American Studies fellowship, the Technical University of Munich Foreign Exchange grant and the Hans-Rudolf Foundation fellowship. 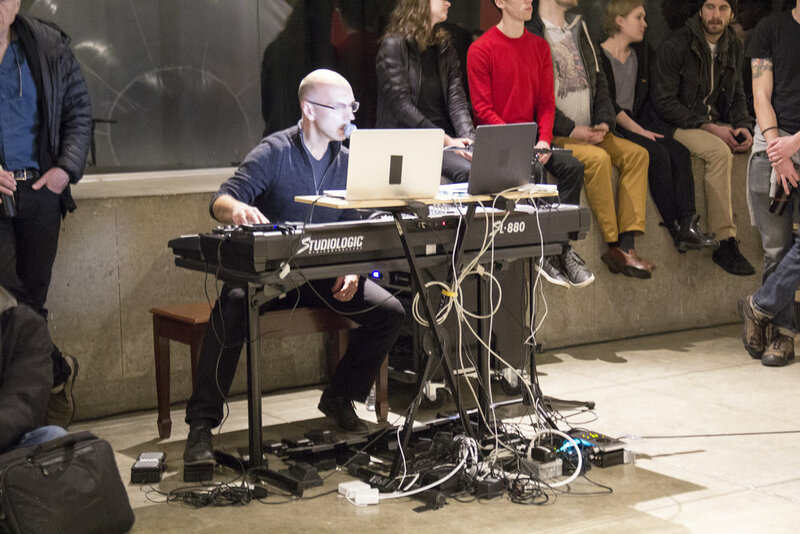 On February 3, Jill Johnson, dancer, choreographer and Director of Dance at Harvard, and Hans Tutschku composer and Director of the Harvard University Studio for Electroacoustic Composition, perform in response to the installation of Pneumatic Bodies. Free and open to the public. 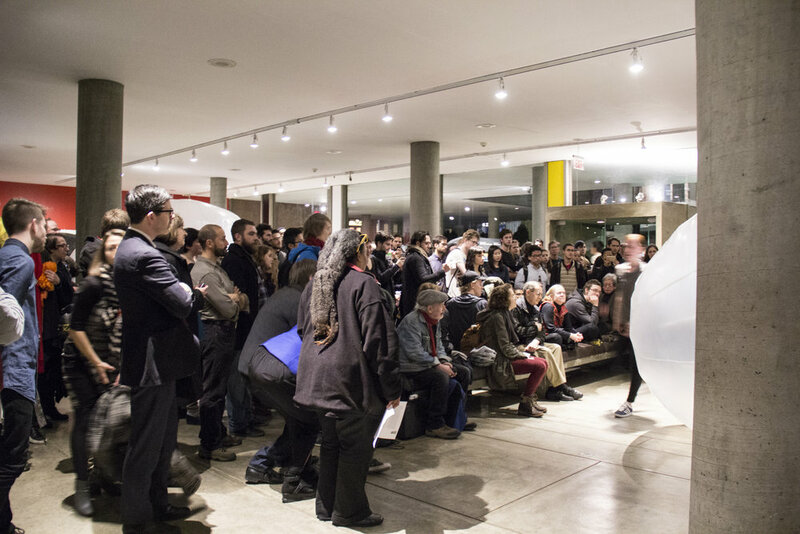 Pneuma(tic) Bodies is part of The Interstitial, a program that takes advantage of the time and physical space between exhibitions. 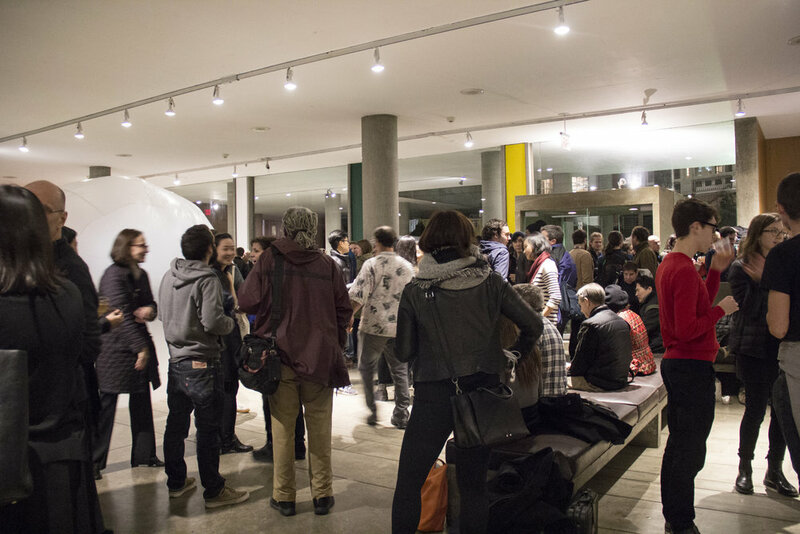 The Interstitial hosts performances, installations and other time-based events that transpire over the course of an evening or several days.